A residual current device (RCD), similar to a Residual Current Circuit Breaker (RCCB), is an electrical wiring device that disconnects a circuit whenever it detects that the electric current is not balanced between the energized conductor and the return neutral conductor. Such an imbalance is sometimes caused by current leakage through the body of a person who is grounded and accidentally touching the energized part of the circuit. A lethal shock can result from these conditions. 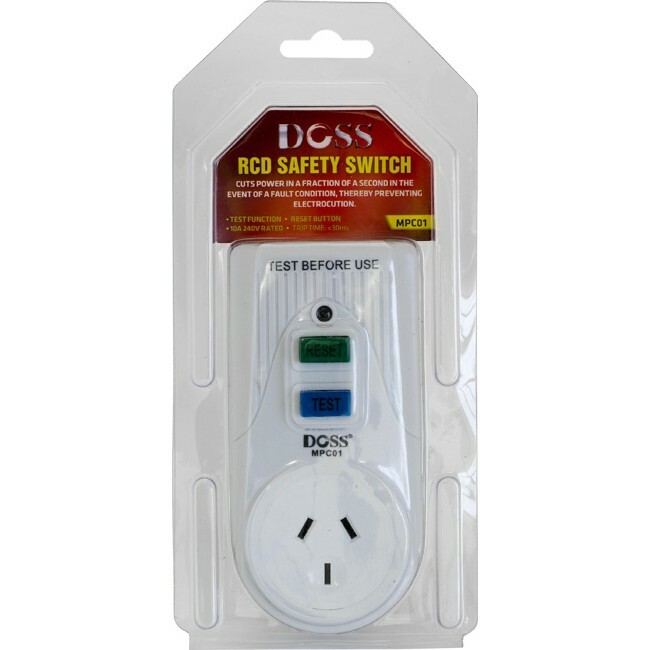 RCDs are designed to disconnect quickly enough to mitigate the harm caused by such shocks although they are not intended to provide protection against overload or short-circuit conditions. I’ve seen a power board that looks the same, but is cheaper. Is there any reason? Surge protection comes down to a couple of things, but one of the key factors is the ability to absorb energy. 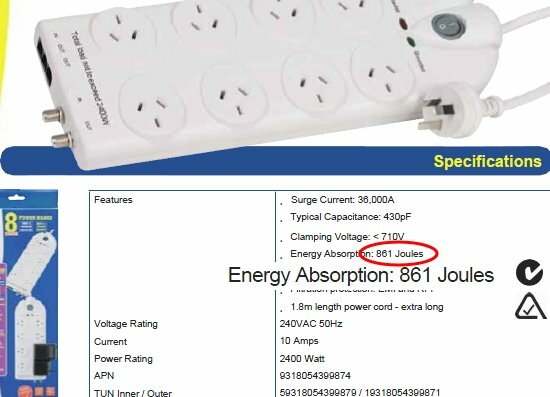 Our DOSS SPB81 will absorb a huge 3,444 joules. Competing models may look the same, but the performance isn’t the same (example below). How come equipment warranties are not offered by Doss? Equipment warranties can often justify higher retail prices which is good for shops and profit margins. On the flip side, many end users, particularly those with mortgages, will already have house & contents insurance.The products connected to the power board are more than likely covered. To find out more have a read of the PDS for your insurance policy. Secondly, for covering a wider variety of issues, you could consider extended warranties from a provider that specialises in this area. This way, you can elect to cover a huge variety of issues including even data loss.